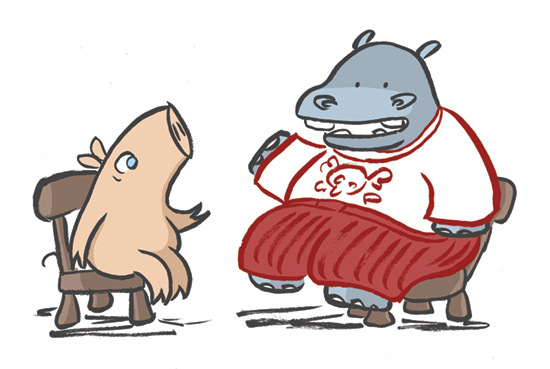 It’s Friday, I’m hard at work on the second Pigsticks book, and here’s a snippet from the last spread. 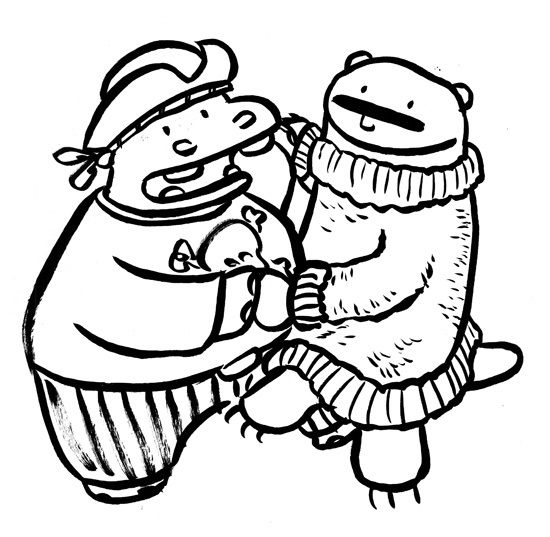 A hippo and an otter dancing! Only in a children’s book. 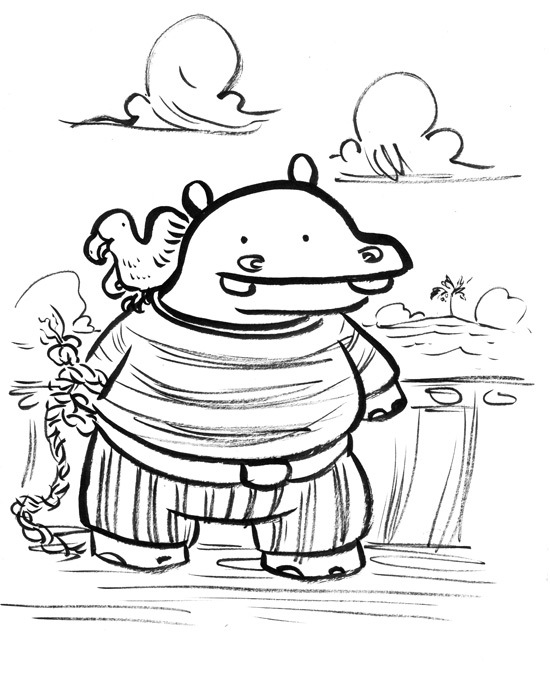 A little picture from Pigsticks and Harold 2. Pirate George, who’s turning into a favourite of mine, has fallen asleep. Please excuse my internet absence of late, but I’m working like a fiend, trying to get as much done as I can before our second baby is born in November. There’s nothing like a good deadline to help you get stuff achieved! 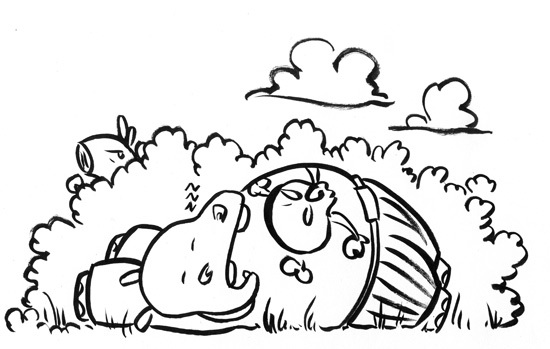 So to show I’m still in the land of the living, here’s a little pic from the first Pigsticks & Harold book to whet your appetite. 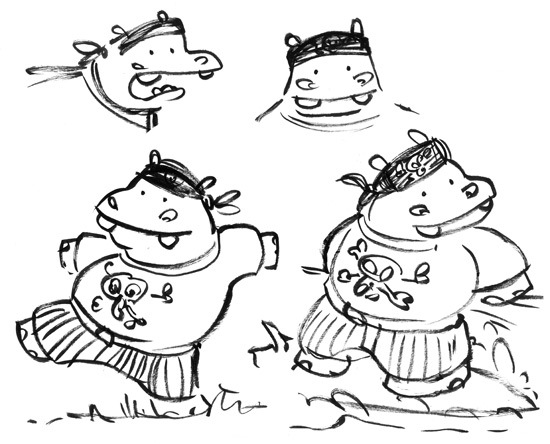 I’m sitting here drawing Pirate George, and I’m thinking that one day he’ll need his own adventure. He seems maybe a little too big to be a bit player all his life.